Early 19thc Brass Flour / Spice Dredger. English. C1800-20. 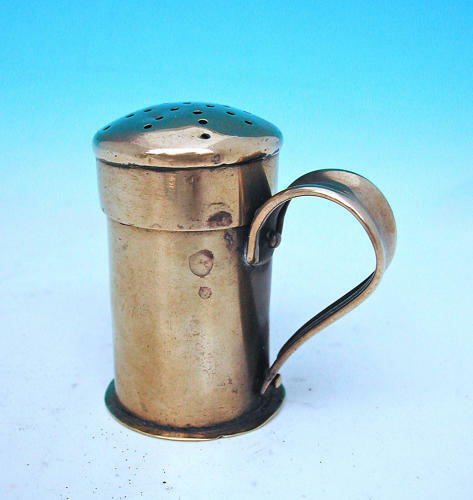 An unusual form of Brass Flour / Spice Dredger from the 19thc nicely made with a side handle and punched decorated lid.